15th October 2009. 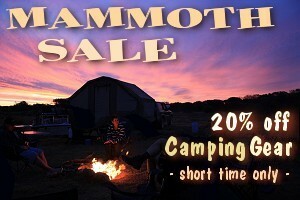 Mammoth Sale with 20% off Camping Gear, Bob Cooper Survival Products, and a Revised Trek - Kidman Way. Get ready to plan your next trip by refreshing all your essentials. You'll find a bunch of new products in the ExplorOz Shop including aWaterproof Map Case and aPocket Shower. But get in quick, because for a short time only you'll get 20% off the entire range of camping accessories! Seems Bob Cooper is big news right now. Since our last newsletter, introducing Bob Cooper’s range of Outback Survival Products, he’s been featured on the ABC television program Landline (4/10) and in the Sunday Times newspaper (11/10). Don't become a statistic on your next big adventure - get yourself only the best Outback Survival gear, available exclusively from ExplorOz. Now that the 2009 National ExplorOz Members Gathering is over, we hope you are all considering joining up for the 2010 gathering to be held next year in WA in the last week of June. This will be the first gathering to be attended by the owners of ExplorOz and is a unique opportunity to meet the faces behind the names of many people in the ExplorOz community. David and Michelle recently visited the Northern Goldfields, lower Canning Stock Route area to plan logistics for this gathering (see blog). Please don't leave it too late to register your name on the Gathering page, to help us gauge the number of attendees. Those that tuned into television last Sunday to the special advance screening of episode 1 of the new series Pat Callinan's 4WD Adventures on Ten (nationally) would have noticed that ExplorOz is a show sponsor. Throughout the series, ExplorOz.com will be featured as part of our arrangement as the Official Online Partner of the show. The series proper will begin airing from the start of December on ONE HD, and from Jan 13 on TEN. This promotional partnership features PR both within and outside the show for ExplorOz. Look out for feature stories in the Overlander 4WD magazine, NRMA's the Open Road, Caravan+RV magazine, and 4x4 Australia magazine. 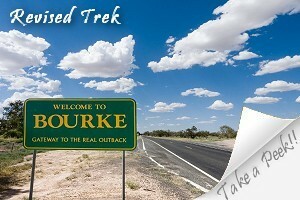 These PR activities will ensure an increased awareness of ExplorOz reaches fresh new audiences. There has never been a better time to start promoting your business on ExplorOz so for a short time only, ExplorOz is offering a massive 20% discount off NEW first time advertising bookings with a spend of over $700. (offer only available for bookings placed direct through Michelle Martin - ExplorOz Advertising Director). Thinking of fossicking for gemstones in Queensland? Why not stay at the Sapphire Caravan Park. Still setting up? If it's 4WD accessories you need talk to Derek Bester from ABR - SIDEWINDER. These businesses plus loads more can be found in the Directory. Tailor made to slot into the décor and dashboard of your Vehicle Model - this is the Ultimate GPS It looks great - but gets even better. See it here VMS Website.